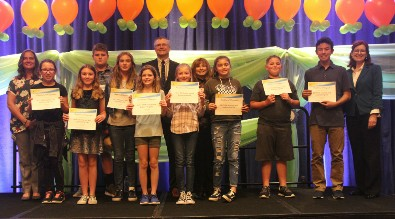 April 4, 2019 - Students from YCJUSD receive awards following the 37th annual (SIM) Science and Engineering Fair. 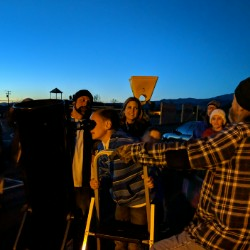 The San Bernardino, Inyo and Mono Counties (SIM) Science and Engineering Fair is an annual competition of science projects designed, developed and displayed by elementary and secondary students from schools in each county. 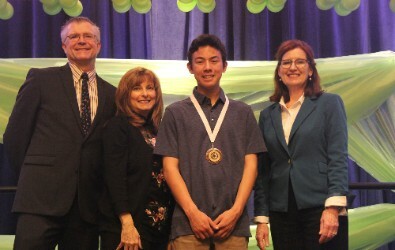 Matthew Fogel from YHS receiving the bronze medal and NOAA Taking the Pulse of the Planet Award. 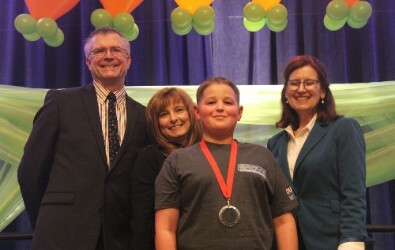 Russel Koger from Ridgeview Elementary receiving the silver medal. 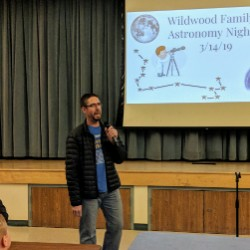 3/14/19- Over 100 people were in attendance for Wildwood’s Family Astronomy Night. 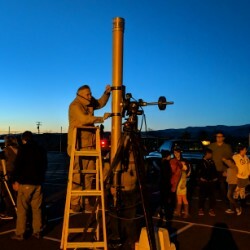 With the assistance of the San Bernardino Valley Amateur Astronomy Club, as well as Mike Matteson from YHS, the night was out of this world. Mar. 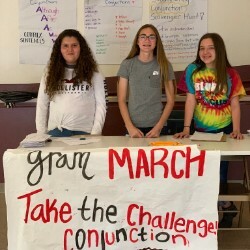 1- Students at Park View Middle School take on the English gramMARCH challenge to write using proper grammar, full sentences and use entire words in all forms of written communication. 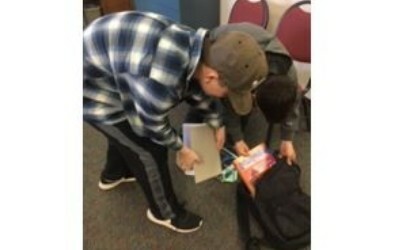 To kick off the challenge, PVMS held a festival where the English classes created games in correlation to the challenge. 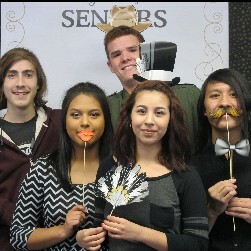 Students had so much fun learning English! 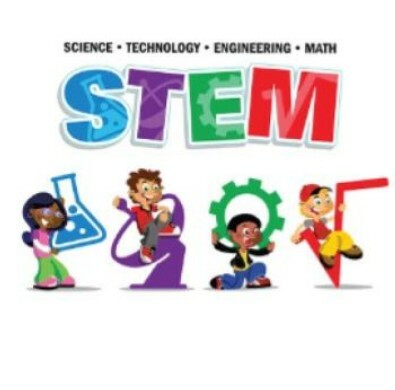 STEM Family Night Challenge @ MVMS March 5! 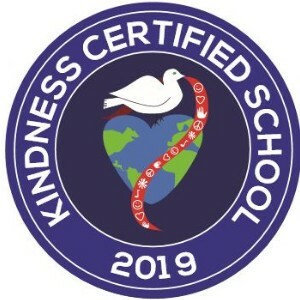 We are proud to announce that all Yucaipa-Calimesa Joint Unified School District schools are Kindness Certified! Thank you for making such a positive difference at your school, your community and in our world. There's no doubt about it, your KINDNESS MATTERS! 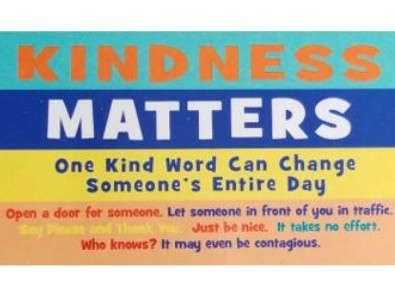 It is our desire to revisit Kindness week every year. 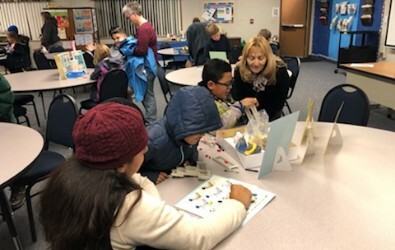 Feb. 4 - Families had a fun night exploring STEM related activities at Family STEM Night! Thank you to the families who came out in the rain and participated. Jan. 23, 2019 - The YHS Thunderbird Marching Regiment participated in the Disneyland Community Arts Showcase for the 7th year in a row. 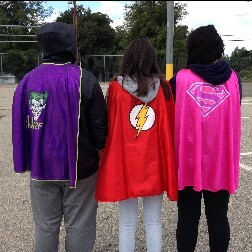 Our students did a great job representing the school and community! 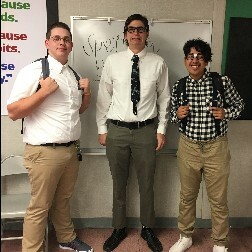 High school students from outside of the Yucaipa-Calimesa Joint Unified School District who are interested in being included in the Linked Learning Academies Lottery Process for Registration for the 2019/2020 school year must have their transfer paperwork into Educational Services at the District Education Center by April 15, 2019. Any transfers received after the date of 4/15 will either be placed in the academies if space is available or on the waitlist for the chosen academy. If you have questions, please contact Heather Aguilar at heather_aguilar@ycjusd.us. The Soles 4 Souls shoe drive was a huge success. Our middle school and high school students collected over 2,500 pairs of shoes! 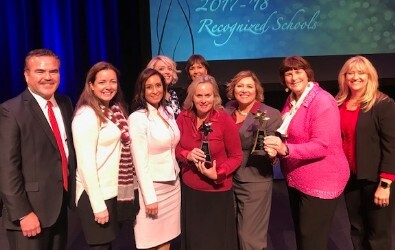 The California PBIS Coalition provides recognition awards for outstanding work with Positive Behavior Interventions and Supports (PBIS) to improve the culture on a school campus for students and staff. PBIS is a systems-based, multi-tiered framework for establishing the social culture and behavioral and academic achievement and success. 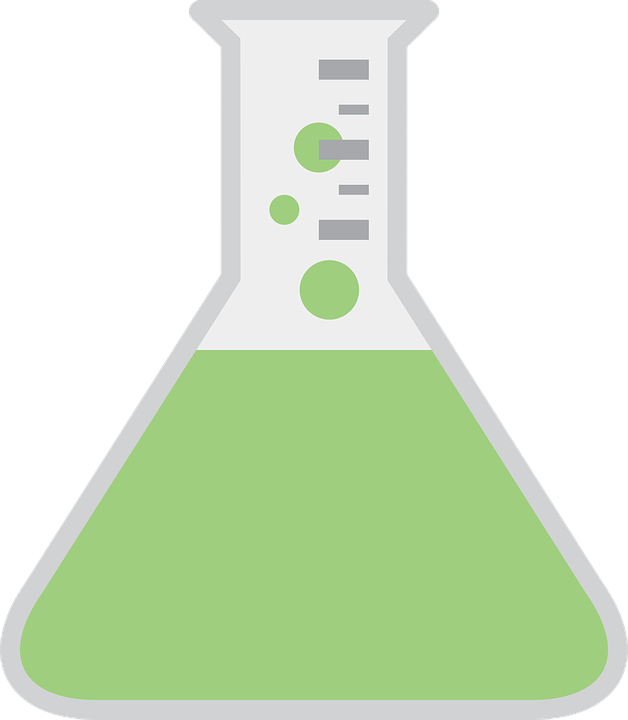 The framework is evidence-based and data-driven. 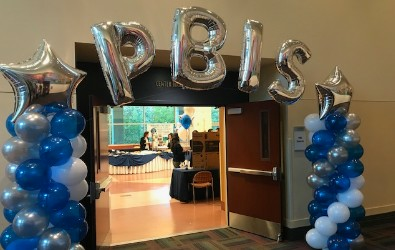 In the YCJUSD, school sites have been participating in PBIS training and framework implementation for the past nine years at all grade levels. 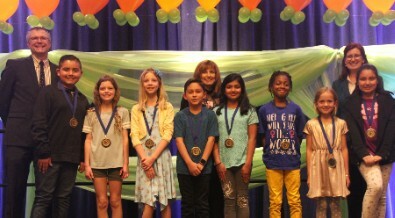 A recent awards ceremony was held at the Victoria Gardens Cultural Center in Rancho Cucamonga which was hosted by the San Bernardino County Superintendent of Schools’ (SBCSS) PBIS program division. 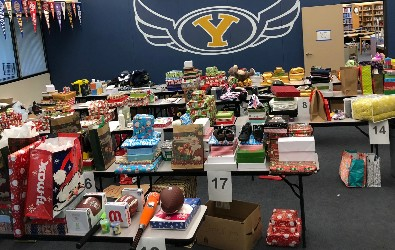 Various clubs, organizations, classrooms and community members help support YHS families in need through the Adopt a Family program each year by providing gifts and food for the holidays. YHS counselors and administrators loaded their vehicles and made deliveries to over 20 families. Yucaipa's own Matt Davidson, of the Chicago White Sox, returns to Yucaipa High School to give back to Yucaipa's Best Buddies program. Watch as Matt and other major league players play a friendly game of baseball with Yucaipa's Best Buddies. Use our new communication tools to keep in touch with your child's school, activities and important information. School and informational e-flyers delivered right to your computer or mobile device. 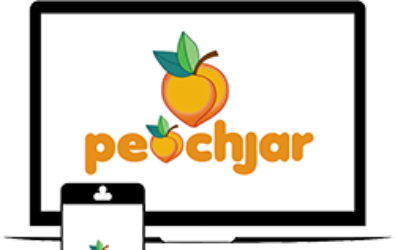 Click here to learn more about Peachjar. Access school information, Aeries Portal, lunch menus, and more. 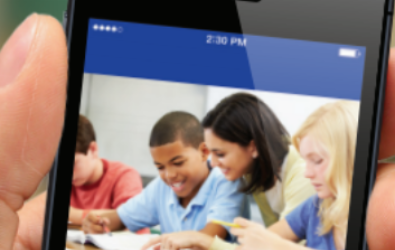 "Follow" your child's school and receive important notifications. 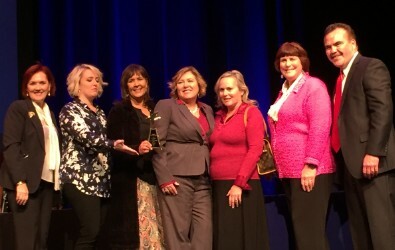 YCJUSD Teacher of the year! 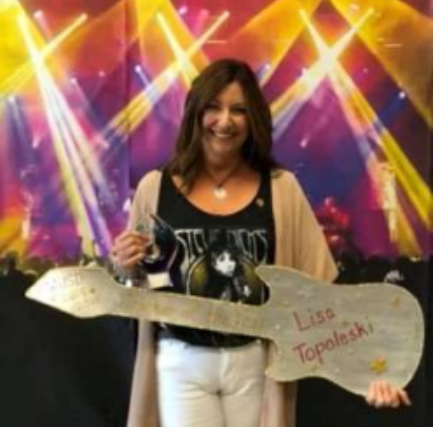 YCJUSD 2018-19 Teacher of the Year is Lisa Topoleski. 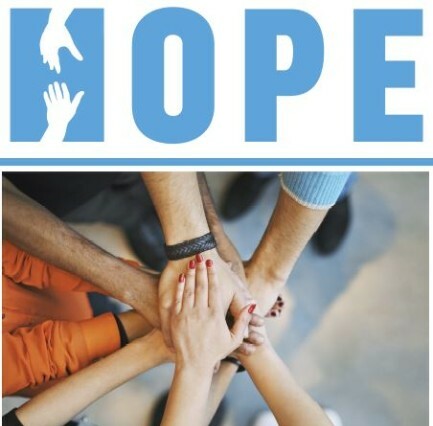 Yucaipa-Calimesa Joint Unified School District (YCJUSD) is proud to join with the community to raise awareness of and support mental health issues and suicide prevention. It was a day full of great workshops and an incredible resource fair designed to promote Healthy Minds and Hope within our community. 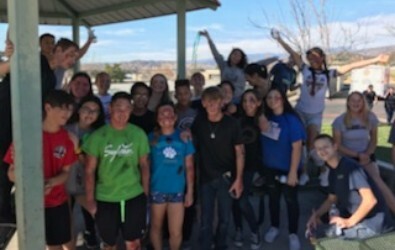 Congratulations to Green Valley High School for Being Named a Model Continuation School by the California Department of Education! 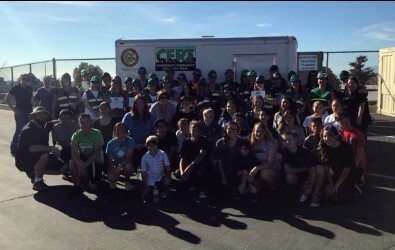 YCJUSD employees completed the first in-district Community Emergency Response Team (CERT) training on February 3rd. Students from the YHS Law and Public Safety Academy assisted by being "victims" during the mock disaster scenario that ends the training. 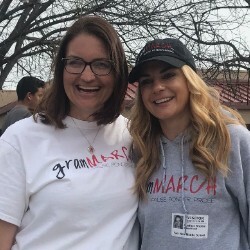 Thank you to district trainers Lucia Hudec and Julie Beck for coordinating the successful event. Click on the video above to see the 2018 YHS girl's soccer playoff video. Congratulations to Park View Middle School teacher Brittany Bay for being selected as a finalist for the CLMS Region 10 Educator of the Year. She is an educator who exemplifies educational excellence and has made significant efforts to implement elements of educational reform at Park View Middle School. 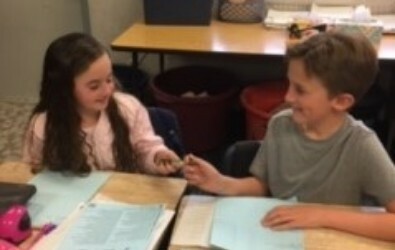 Mr. Tucci, Park View Middle School principal wrote the following in Ms. Bay’s nomination letter, “There is no other team player at PVMS who exemplifies the willingness to reach out to students in a variety of ways to help them connect to their school. 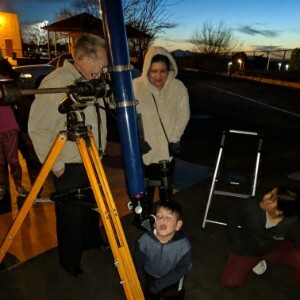 Her excitement for the connection with kids is unmatched at our school." 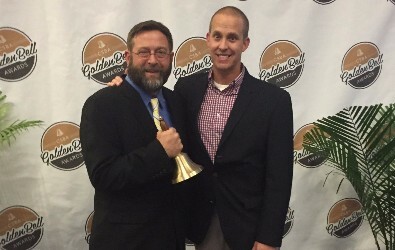 Congratulations to Yucaipa High School teachers John Taylor and David Paul for earning a California School Boards Association (CSBA) Golden Bell. 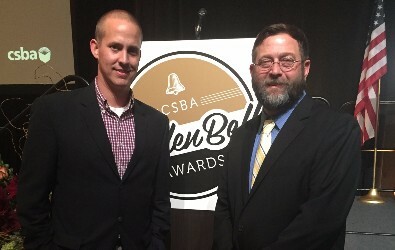 The CSBA Golden Bell Awards promotes excellence in education and school board governance by recognizing outstanding programs and governance practices of school boards in school districts and county offices of education throughout California. Congratulations to all YCJUSD Classified Employees of the Year! Well Done! Congratulations to Dr. Calles, newly appointed Asst. Supt. Human Resources who will begin this position on July 1 upon the retirement of current Asst. Supt. Human Resources, Sherri Black. Congratulations to Dr. Vreeman, newly appointed Asst. Supt. Business Services! Congratulations to Dr. Anderson, newly appointed Asst. Supt Ed Services! 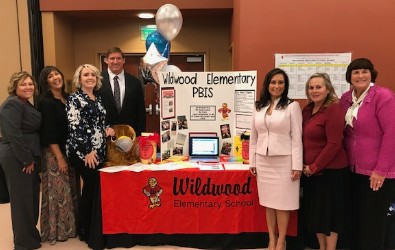 Jenny Morton, Child Nutrition Worker at Wildwood Elementary (WES) being recognized for Classified Employee of the Year in her category for both YCJUSD and SBCSS. Jenny is standing next to WES Principal Prady and Asst. Prin. Barrickman. Congratulations! Loved being a guest speaker at the Yucaipa Head Start parent meeting this morning and being able to share all the great things about YCJUSD and how to enroll for TK and Kindergarten for next year! The window for 2018-19 applications is now open. Please click on the link below to be redirected to the application website. Click here to learn about low cost options for computers and internet for parents.